The Civilian Conservation Corps provided jobs for over 3 million young men during the Great Depression and helped establish the foundation of our nation’s park system. 70 years after the creation of the CCC, Conservation Corps veterans reunite in one of the parks they helped build, sharing stories and rekindling old memories. Some you’ve loved forever, some you’ve never heard of (but now ought to seek out to view): The Library of Congress announced 25 new films added to the National Film Registry, the list of great films we all ought to know about. This year’s list covers 82 years of cinema, from 1912’s “The Cry of the Children” through 1992’s “El Mariachi” to 1994’s “Forrest Gump.” It’s a very diverse list, from big Hollywood productions through animation, test films and even a series of home movies. Here’s the list, followed by the press release; the list with descriptions of each film is below the fold. “My momma always said, ‘Life was like a box of chocolates. You never know what you’re gonna get.’” That line was immortalized by Tom Hanks in the award-winning movie “Forest Gump” in 1994. Librarian of Congress James H. Billington today selected that film and 24 others to be preserved as cultural, artistic and historical treasures in the National Film Registry of the Library of Congress. Spanning the period 1912-1994, the films named to the registry include Hollywood classics, documentaries, animation, home movies, avant-garde shorts and experimental motion pictures. Representing the rich creative and cultural diversity of the American cinematic experience, the selections range from Walt Disney’s timeless classic “Bambi” and Billy Wilder’s “The Lost Weekend,” a landmark film about the devastating effects of alcoholism, to a real-life drama between a U.S. president and a governor over the desegregation of the University of Alabama. The selections also include home movies of the famous Nicholas Brothers dancing team and such avant-garde films as George Kuchar’s hilarious short “I, an Actress.” This year’s selections bring the number of films in the registry to 575. Annual selections to the registry are finalized by the Librarian after reviewing hundreds of titles nominated by the public (this year 2,228 films were nominated) and conferring with Library film curators and the distinguished members of the National Film Preservation Board (NFPB). The public is urged to make nominations for next year’s registry at NFPB’s website (www. loc.gov/film). In other news about the registry, “These Amazing Shadows,” a documentary about the National Film Registry, will air nationally on the award-winning PBS series “Independent Lens” on Thursday, Dec. 29, at 10 p.m (check local listings). Written and directed by Paul Mariano and Kurt Norton, this critically acclaimed documentary has also been released on DVD and Blu-ray and will be available through the Library of Congress Shop (www.loc.gov/shop/). For each title named to the registry, the Library of Congress Packard Campus for Audio Visual Conservation works to ensure that the film is preserved for future generations, either through the Library’s massive motion-picture preservation program or through collaborative ventures with other archives, motion-picture studios and independent filmmakers. The Packard Campus is a state-of-the-art facility where the nation’s library acquires, preserves and provides access to the world’s largest and most comprehensive collection of films, television programs, radio broadcasts and sound recordings (www.loc.gov/avconservation/). The Packard Campus is home to more than six million collection items, including nearly three million sound recordings. It provides staff support for the Library of Congress National Film Preservation Board, the National Recording Preservation Board and the National Registries for film and recorded sound. Below the fold you’ll find a description of each film. Teachers should check out the film and use it — it’s a great little chapter of Texas history, science history, and U.S. history. It’s an outstanding explanation of a technological development that revolutionized so much of our daily life, especially in the late 20th century. At 8 minutes and 37 seconds, the film is ideal for classroom use. Alas! My technology won’t allow embedding the video here, and so far as I can tell it is only available in broadcast on KERA and at KERA’s website. So, go there and look at it! If you can download it for use, more power to you — and let us know in comments how you did it. 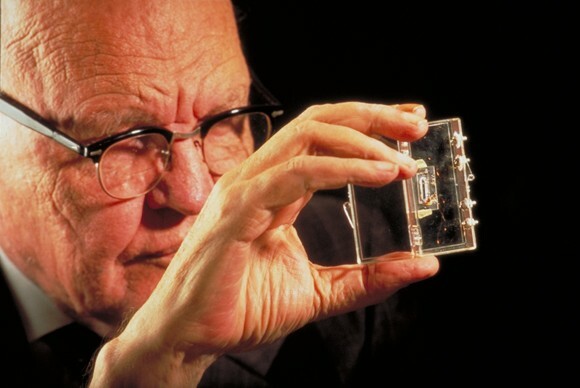 2009 marks the 50th anniversary of Kilby’s filing for a patent on an integrated circuit. He’s been honored by the Inventor’s Hall of Fame. Despite the stupendous value of his invention, Kilby’s name is far from a household name even in North Dallas, home of Texas Instruments. Robert Noyce, who came up with almost exactly the same idea at almost exactly the same moment, is similarly ignored. Shouldn’t today’s high school students know about Kilby and Noyce? Not a class period goes by that I don’t use a device powered by Kilby’s invention; nor does one pass that I don’t have to admonish at least one student for misuse of such a device, such as an iPod, MP3 player, or cell phone. It’s difficult to think of someone whose invention has greater influence on the life of these kids, hour by hour — but Kilby and his invention don’t get their due in any text I’ve seen. It’s a great film — original and clever animation, good interviews, and it features Kilby’s charming daughter, and the great journalist and historian of technology T. R. Reid. Don’t you agree that it’s much better than most of the history stuff we have to show? Texas history standards require kids to pay brief homage to inventors in the 20th century. Kilby is not named in the standards, however, and so he and his invention are ignored as subjects of history study. You ought to fix that in your classroom, teachers. Need a date to celebrate? Kilby was born on November 8, 1923. His birthday is a week away. A few weeks ago I finally got a copy of “Fog of War,” at Half-Price Books. I’ve watched it three times so far. For a talking head documentary, it’s compelling, and interesting. 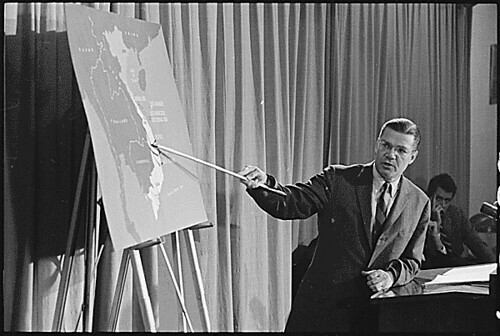 It may be just that I lived through the time, and hearing former Defense Secretary Robert McNamara explain now what was going on at various points . 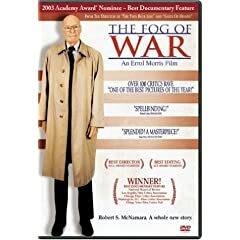 . . “Fog of War” is like a director’s cut DVD of the Vietnam War with Coppola, Scorsese, Spielberg and Wilder all explaining every facet of what the director was doing. Errol Morris’s interviews over the past few days are good, too. Morris is the director of the movie. He reminds us that he was making the movie before, and then in the aftermath of the attacks on the World Trade Center. Wrong decisions about war were being repeated. I was looking to find excerpts that might work in world history or U.S. history classes. I’m not sure there is one, now. It should be a powerful film for an AP U.S. history class, but probably assigned viewing rather than in-class. McNamara’s descriptions of errors in the highest places are also brilliant in their insight. With the possible exception of Eisenhower’s never-used apology and fault-accepting letter for the failure of D-Day, the Normandy invasion — never used because the invasion worked — have we seen a more forthright mea culpa and warning from any of our warriors about their own mistakes, and how to avoid them? What drove McNamara to do that? Learned something else yesterday: Robert McNamara was an Eagle Scout. Is that why it seems like he, almost alone among the architects of that horrible conflict, confessed to error in Vietnam? He was a man who could do almost anything, had done much, but at the most important time could not do whatever it was that was required to achieve a just peace, nor even an end to war. We don’t know yet what the right thing to do might have been. There is much more to know from that chapter, from and about McNamara, than we have learned yet. 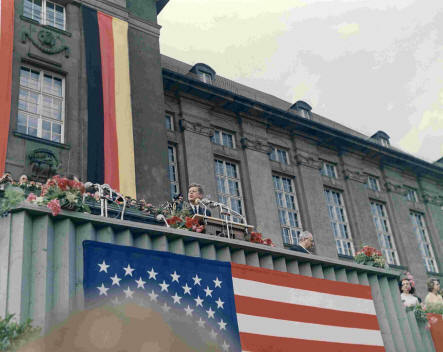 Perhaps McNamara’s passing will spur others to find copies of the movie, and study the Eleven Lessons Robert McNamara learned from Vietnam too late; perhaps others can now apply the lessons in time. See the Washington Post’s gallery of photos of the life of Robert McNamara. Tip of the old scrub brush to the discussions at Scouts-L.
You are currently browsing the archives for the History video sources category.